Webster gives the definition of bereavement as "…the loss of a loved one by death…". At one time or another all of us experience the death of someone we love; a parent, child, spouse, sibling, friend, or a beloved pet. We all have stories of grief. No two grief journeys are exactly the same. Though there are commonalities in losing someone, there are many types of loss. 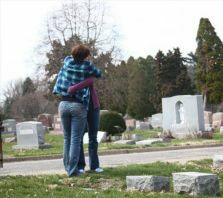 Some of your grief experience depends on who you lose and what relationship you shared with them. But professional counselors say there are general stages of bereavement we all experience. Regrettably, we need to deal with the practical aspects when death occurs. Funeral planning, securing airfare, renting a car. I want to provide some tips to make these arrangements easier. Has someone you know suffered a loss and is mourning? What is appropriate in expressing sympathy? Are there “rules” of sympathy etiquette? Do you send a card? Give a gift? What words of comfort can you offer? Are there practical ways you can you help? It is hard to know what to say or do to offer comfort. Don’t let being uncomfortable stop you from being there for someone who has suffered a loss. 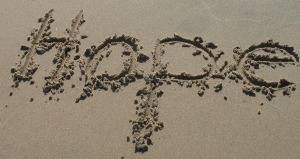 There are many avenues of healing help for grief and sorrow available. If someone you love is hurting, I want to assist you in caring for them. I have been gathering a list of books that I hope can be helpful for those who are grieving or for those who want to help someone through as they grieve. On this site there are many grief and bereavement poems to comfort those suffering a loss. Included are funeral music selection suggestions, as well as prayers. We can’t avoid the pain or suffering, but we can grow through it. You have collected all my tears and preserved them in your bottle! You have recorded every one in your book.